On Sunday January 7, 2018, at his Vibrato Grill Jazz Club, legendary Grammy award-winning musician, recording industry executive, and philanthropist Herb Alpert and his wife Lani, donated $2 million to establish The Eden Alpert Therapeutic Music Program at Vista Del Mar Child and Family Services in Los Angeles, California in honor of Herb’s daughter Eden. This life affirming legacy gift was granted through The Herb Alpert Foundation to Vista Del Mar, a 110-year-old, four-star Charity Navigator rated social service agency whose mission it is to promote compassion and creativity through innovative, transformative programs. Vista is a leader in providing children and families with specialized educational, mental health, autism, adoptions and early intervention services. The Eden Alpert Therapeutic Music Program was created to provide children with learning disabilities a safe environment to explore their artistic potential while developing a greater appreciation of music. Vista Del Mar provides therapeutic arts programming, including music, both as an elective class during school hours, and as an after-school program for residents. Through these initiatives children have increased self-esteem, have the opportunity to learn an instrument of their choice, are able to perform in front of an audience, and have increased school attendance. 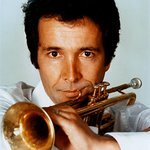 A 2006 Rock and Roll Hall of Fame inductee, Herb Alpert’s albums have sold over 72 million copies; 29 of his records have reached the Billboard 200. Herb and his wife, Lani Hall Alpert, a Grammy award-winning vocalist, have dedicated their lives to philanthropy, funding programs that include arts education, jazz and support to professional artists. Through the Herb Alpert Foundation, they have supported hundreds of organizations over the past several decades. Their philanthropy includes endowing the UCLA Herb Alpert School of Music, the Herb Alpert School of Music at CalArts and most recently the Music Department at Los Angeles City College. Twenty three years ago they established the annual Herb Alpert Award in the Arts to honor individual mid-career artists, which is administered by Cal Arts, and they also provide annual funding in support of the Herb Alpert Scholarships for Emerging Young Artists, administered by the California State Summer School for the Arts. Vista Del Mar Child and Family Services has cared for Los Angeles’ most vulnerable children for over a century, providing a range of exceptional programs in education, mental health, autism, adoption, residential care, prevention and early intervention. Vista’s programs are for children with social, emotional and behavioral challenges, wrapping love and support around the entire family and is today is Los Angeles’ most prominent resource for children of the Autism Spectrum. Vista Del Mar is a national role model in providing these specialized services and therapeutic treatment for children of all circumstance and ability.